and these issues need addressing with essential regulatory reforms. 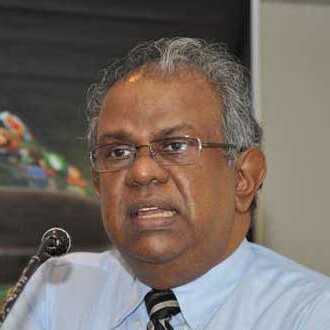 In the above context, the recently reported market issues and professional challenges, it is essential that the Sri Lanka Accounting and Auditing Standards Monitoring Board (SLAASMB) and the Institute of Chartered Accountants of Sri Lanka (ICASL), duly consider and introduce necessary regulatory reforms and oversight mechanisms, to assure upholding of professional standards, best practices, ethics and conduct by professional accountants and business undertakings. Such reforms are urgently needed to assure due compliance with laws and regulations, and in upholding transparency, good governance and anti corruption by the business undertaking and professional accountants. 3. Take early steps to expand the scope and terms of reference of the SLAASMB as set out in the statute, enabling it to be empowered to exercise oversight over SLSQC 1 (Sri Lanka Standard on Quality Control) https://www.casrilanka.com/casl/images/stories/content/business/mba/slsqc_1.pdf and the Code of Professional Practice, Ethics and Conduct of the ICASL. To the best of their knowledge and belief affirm that the statements of account discloses the composition of the largest shareholders and confirm that there are no undisclosed nominee holdings and or shares of the entity held in trust offshore. Make provision in their web sites for any person or persons to submit complaints, in confidence, against any business entity or professional practitioner/accountant who may have failed in their accountability / responsibility in terms of Sri Lanka Accounting and Auditing Standards Monitoring Board Act and or the Code of Professional Practice, Ethics and Conduct of the ICASL. 8. It is essential that SLAASMB and ICASL approach enforcement and oversight of accounting and auditing standards, as well as the upholding and due enforcement of codes of professional conduct and ethics from a stand point, that they must consider and place emphasis on the collective interests of all connected stakeholders including the State, the creditors, lenders and analysts as well as the wider society and not be restricted by a narrow definition that they owe a duty and obligations only to shareholders, being the primary party to whom the audit report addressed. It is further stressed that the ICASL should take the leadership along with other professional groups to enhance awareness of all connected stakeholders in regard to the issues as highlighted herein. Please note that copies of this letter will be released to the media for publication and circulated to several of the connected stakeholders. Why Only My Father’s Name Comes Up All The Time In Such A Huge Government?